Biomass Briquette Systems offers various lengths and diameters of auger type conveyors. Our BSC-101 is an example of the design we use. 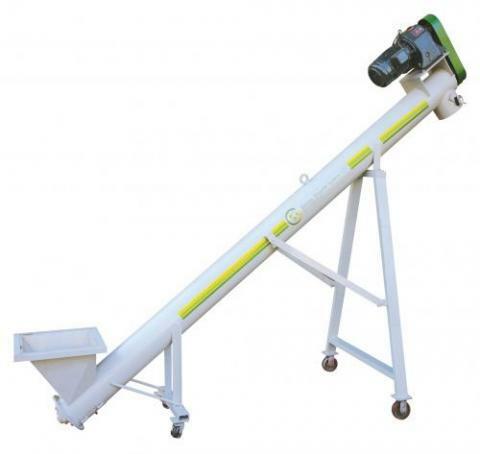 If you have a special application, send your specifications and we can quote the auger conveyor that will work specifically for your application. We can customize the infeed bin, and variable speed is also available along with different incline angles.